These days, there always seems to be some kind of leak that sheds light on highly classified activities that show us all just how the world really works. We keep learning more about national security matters, government operations, and economic issues. The latest in the round of leaks is that of the so-called Panama Papers. The International Consortium of Investigative Journalists reported the leak of the papers on April 3. The ICIJ said that it received millions of documents from Mossack Fonseca, a law firm in Panama. Altogether, the Panama Papers identified more than 200,000 overseas accounts that individuals and entities had used to hide assets or avoid their tax obligations. Some of the documents date back as far as the 1970s, showing that the issue is old and widespread. John Doe has spoken to journalists, but his identity remains a secret even to them. Journalists do not even know what kind of work John Doe does, but he has said that he has not ever worked for a government or intelligence agency. John Doe has insisted on his anonymity because he claims that his life is in danger. The papers were taken from the Mossack Fonseca firm, which also acts as a corporate service provider. Thousands of journalists from 107 different organizations worked together to analyze and verify the 11.5 million leaked documents from the firm. It took more than a year for the journalists to finish their work and begin releasing documents to the press. Though the documents have been widely known as the Panama Papers, some have also called them the Mossack Fonseca papers. The Panama Papers detail the ownership and transactions of 214,000 shell companies often set up for the purposes of tax evasion, money laundering, and other acts of corruption. The people named in the papers include prominent business owners, celebrities, sports stars, government officials, and more. For example, British Prime Minister David Cameron and Icelandic Prime Minister Sigmundur Davio Gunnlaugsson were both named in the papers. The papers identified 12 current or former world leaders and 128 other top government or public officials. While illegal activities were identified in the papers, the majority of transactions were considered technically legal. It is not illegal to set up an offshore account or to create a foreign company. As a result of the release of the Panama Papers, numerous legal changes have either been made or proposed in order to make it harder for people to open foreign companies to disguise their illegal activity. For example, one new rule requires that banks learn the true identity of their account holders and that they provide that information if requested during a criminal investigation. That makes it harder for those engaged in illegal activity to hide their actions. Additional regulations and laws have been proposed, and it is likely that many more will be passed as the papers continue to be released and more is revealed about these illegal practices. Several other countries have also announced that they are passing new regulations to limit these practices and that they are investigating or prosecuting some companies identified in the papers. As an Arizona business owner, you may have offshore accounts or foreign business holdings that you use for legitimate purposes, yet you may become the subject of scrutiny now that these papers have been released and the government is keen to crack down on abuses. 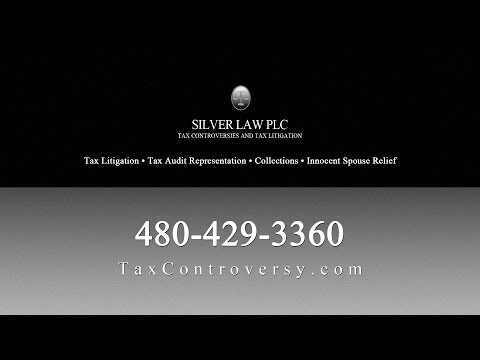 Working with a tax lawyer from Silver Law PLC in Scottsdale, Arizona can help you understand your rights and defend yourself against any allegations of wrongdoing. Our attorneys represent individual and corporate clients in civil tax litigation and criminal tax litigation matters and other tax issues. Call us today to talk with a qualified Scottsdale tax lawyer and learn about your options if you are currently involved in litigation or you just want to make sure that the tax strategies you are using are on the up and up.